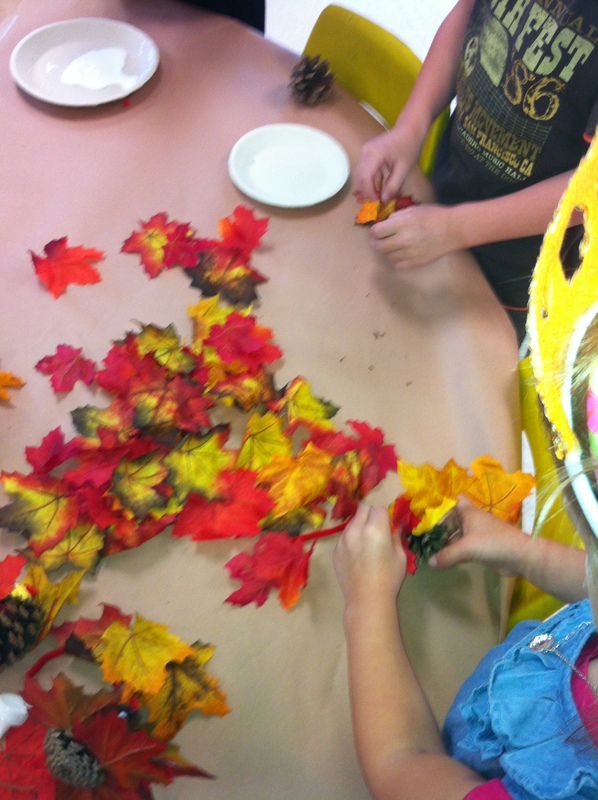 Fall | Mrs. Anton's Class! Happy Thanksgiving! 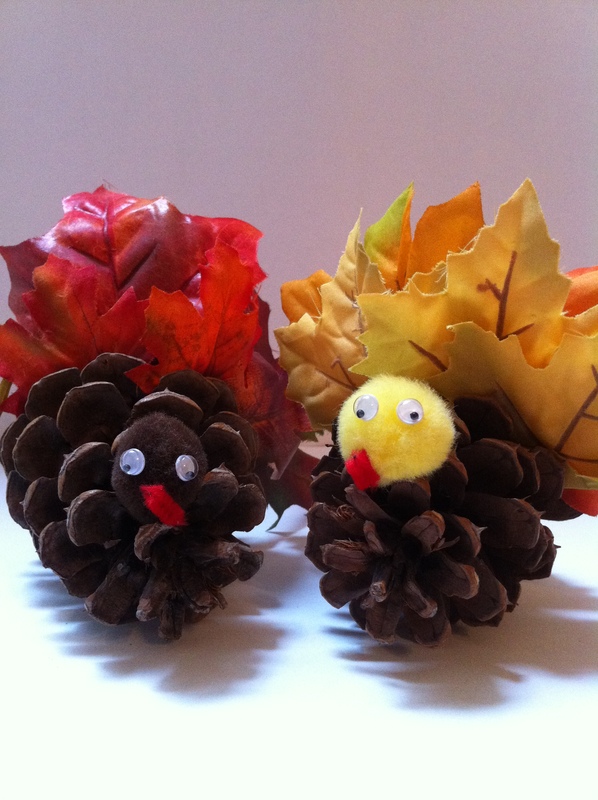 We had a great time on Friday making these little turkeys! I did a quick demo and then the children each created their own! Each turkey seemed to have its own personality! 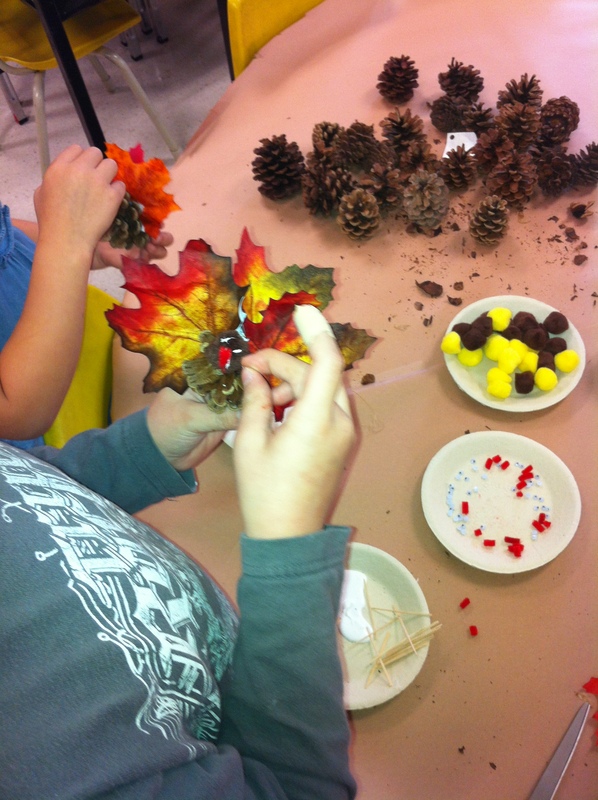 They each picked out a pine cone, tried out where to put their leaf tail feathers, and then created their turkeys! 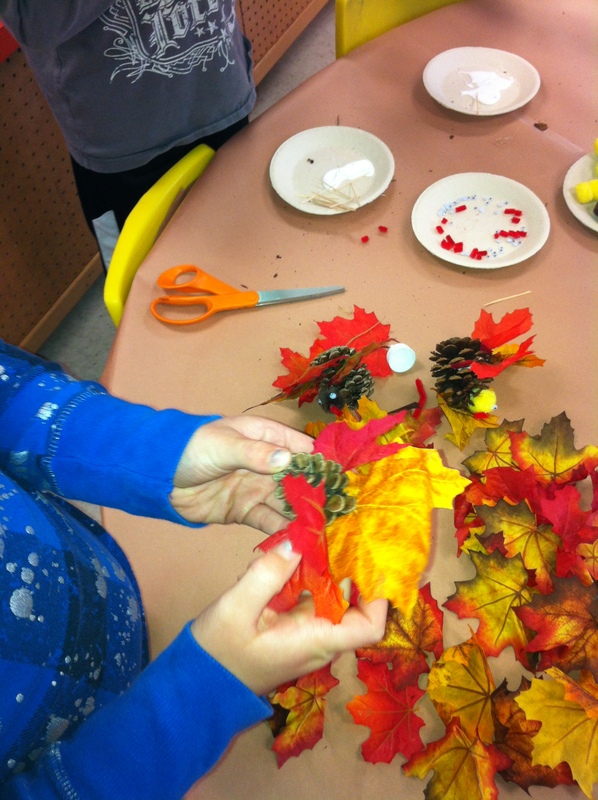 The children really seemed to enjoy making them! 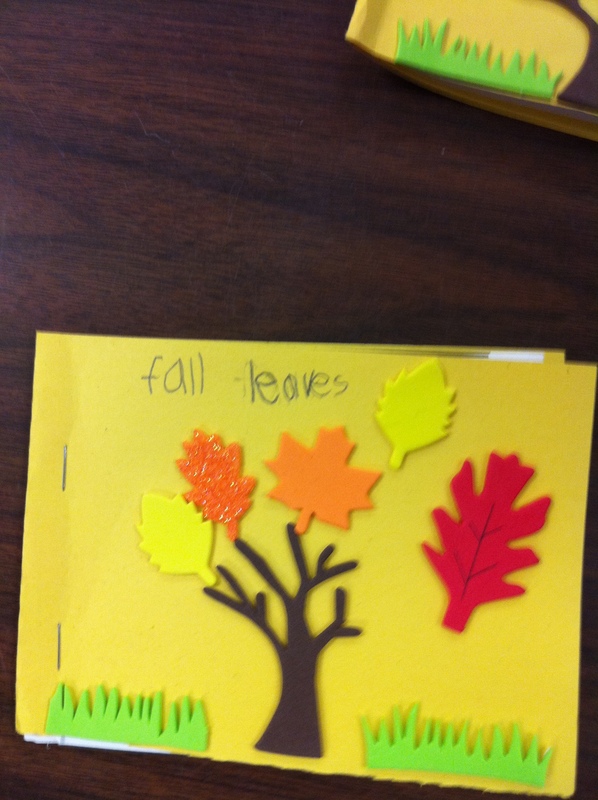 We also make a little poem about what we are thankful for! The children came up with some awesome ideas! I will try to post some of these next week! Forgot to take pictures of them! 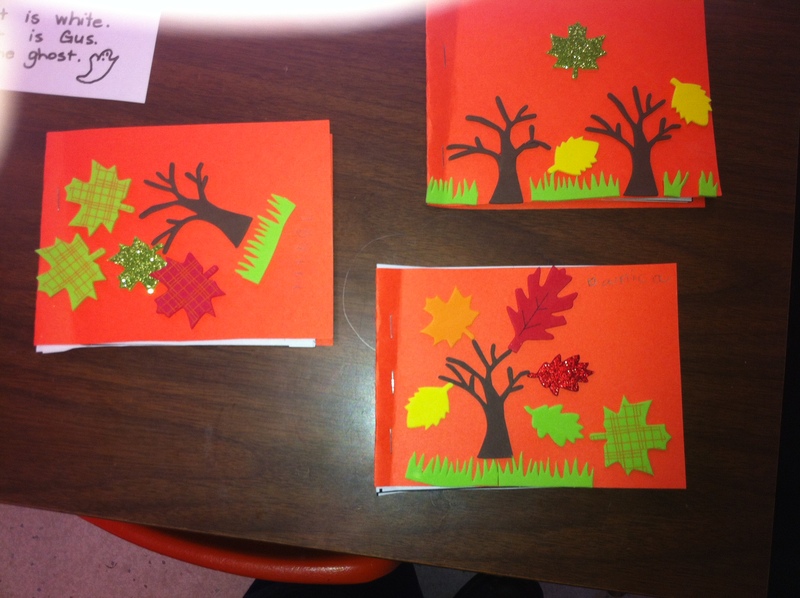 The children seemed to really enjoy making their fall booklets. 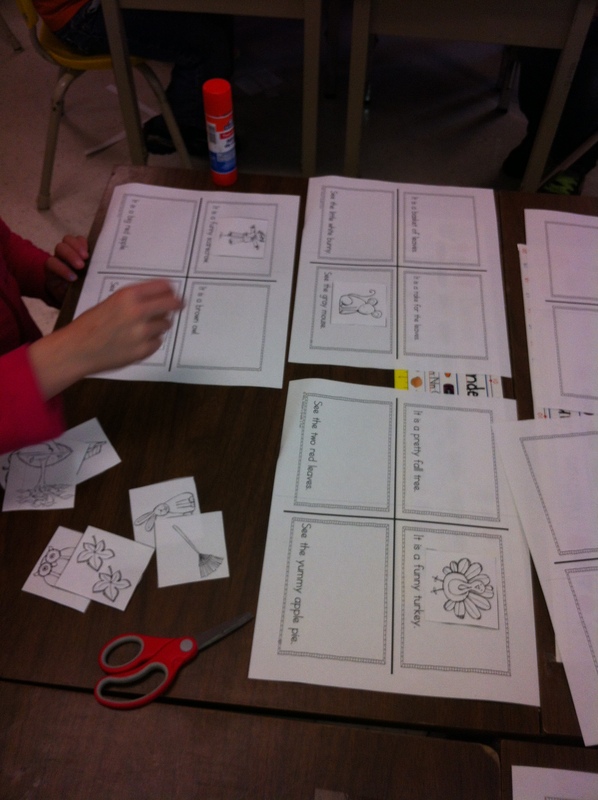 They did an excellent job matching the pictures to the sentences using some of the reading strategies we have been using thus far! 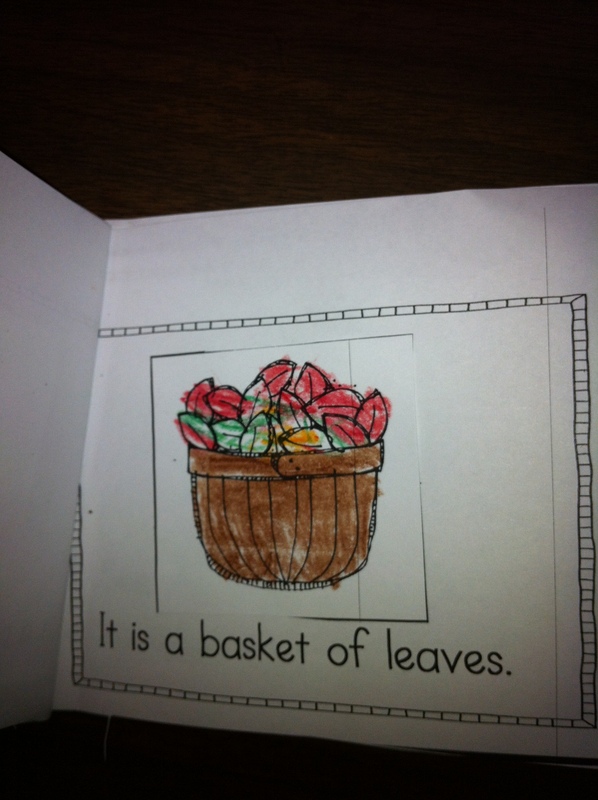 Then they completed their own little book matching the pictures to the correct page. We collected the pages into a little book and then decorated it with some stickers! Love those peel and stick foam stickers! I hope they got a chance to read them with you! 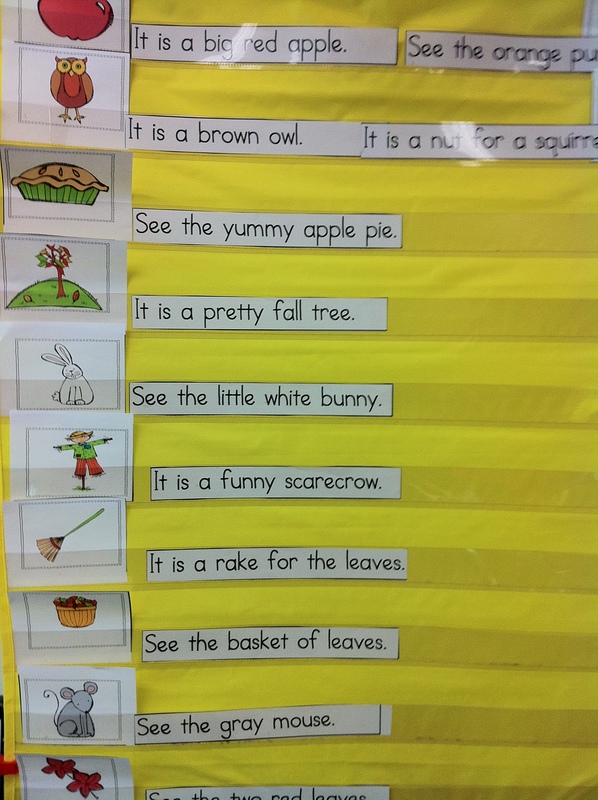 We have been focusing on the color words, and simple sight words, beginning and ending sounds, and using the pictures to help figure out new words thus far. Hopefully they can read all or some of the words or pages to you all by themselves! 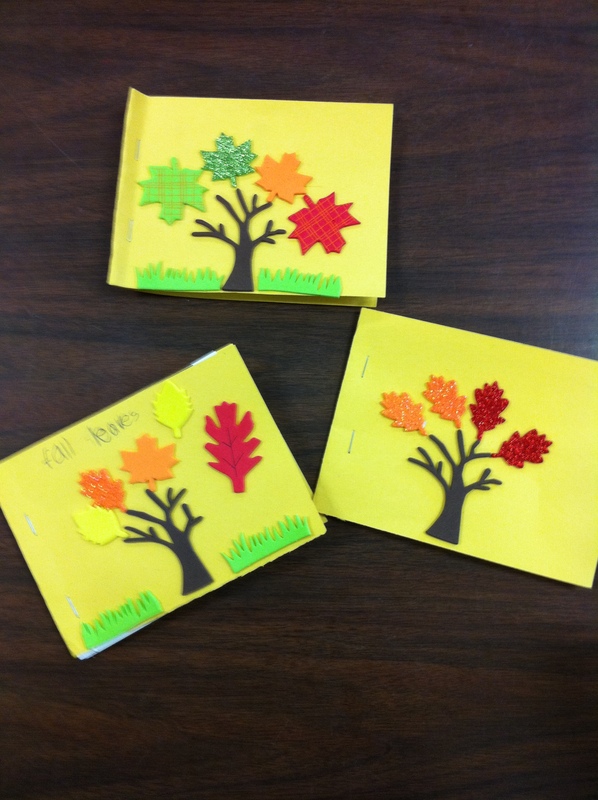 We had a lovely time creating little vocabulary books about Fall this week. It is amazing how much excitement can be generated by sparkly foam stickers! On one of my many visits to our local craft store I managed to find fall sparkly stickers on sale at a significant saving. 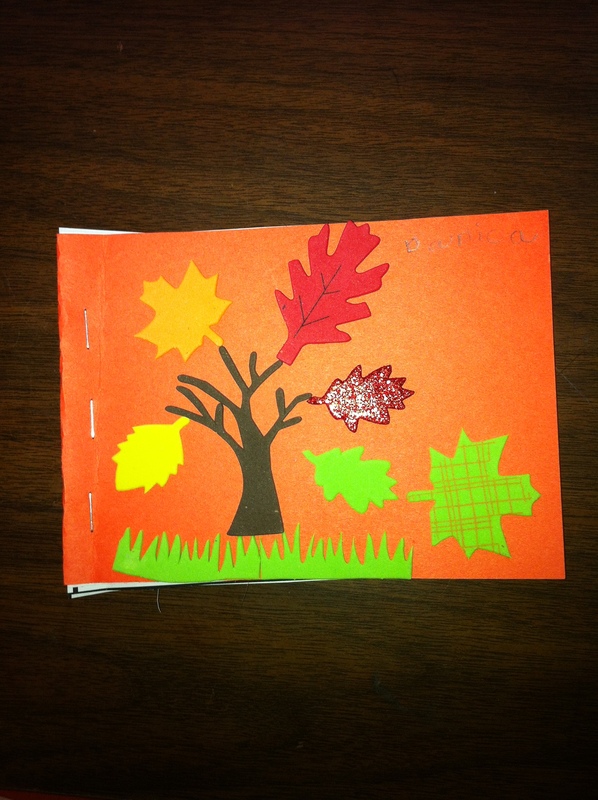 I thought that the children might enjoy using them to decorate a little fall vocabulary booklet I was planning for them! Well… that was an understatement! They were quite happy to pose for pictures! As I don’t have everyone’s permission yet to post everyone’s pictures I will have to save those pictures to a later date. But I do have pictures of their products! I love this one! He decided to add the title to his all on his own! Wish I’d thought of that! We also met with our buddies this week and they helped us add another entry to our student blog sites. I hope you will take a moment and check them out. Just drop me a note if your child has forgotten the password. I will pass it along again! We had a lovely time on Scarecrow Day! 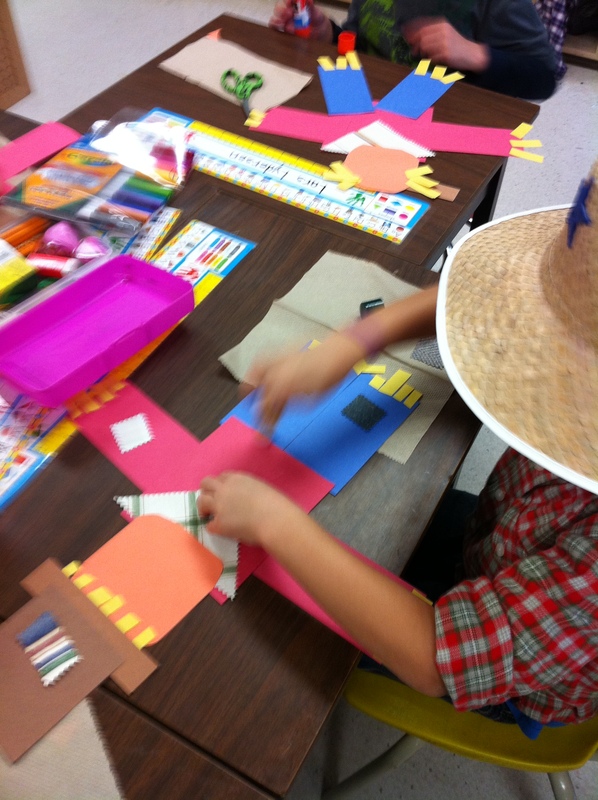 We made scarecrow books, art, and even learned to dance the chicken dance! The costumes were wonderful! Thank you! We read several excellent stories about scarecrows. The Little Scarecrow Boy by Margaret Wise Brown is a favourite of mine. In the story the little boy makes six fierce faces at the crows. 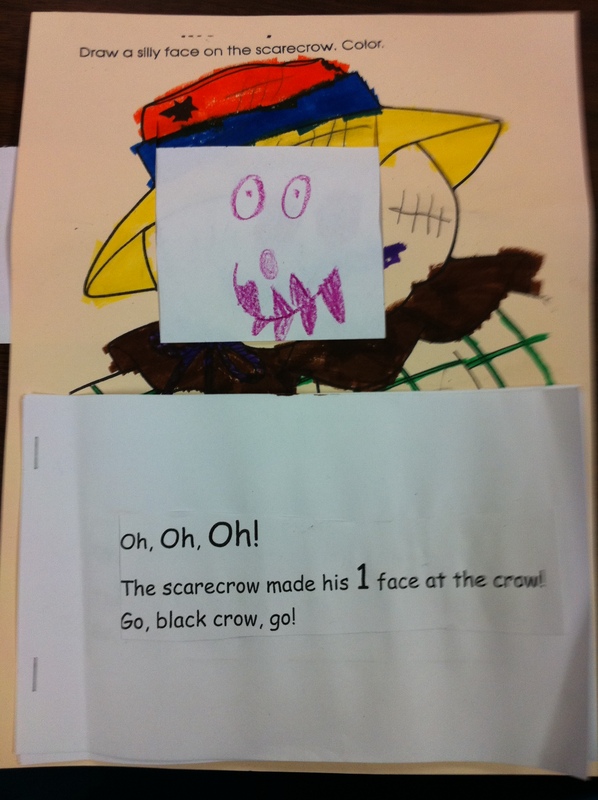 The children made a little scarecrow book and drew their own fierce faces in a mini-movie format. They really seemed to enjoy it. There were a lot of scary faces! 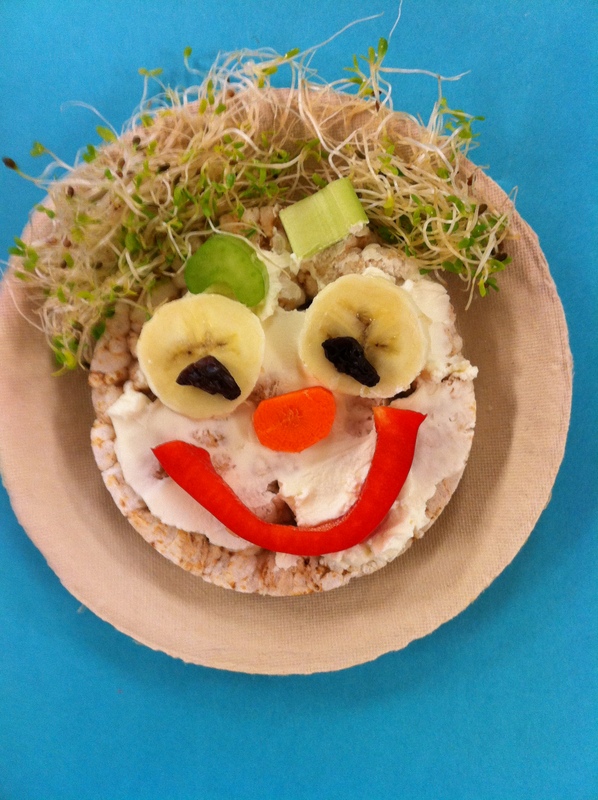 We also made a scarecrow face snack! Most of the children seemed to really like it! Even the funny green hair! We also made some scarecrow art! I have quite a collection of scarecrows in my classroom. It is like a Where’s Waldo of scarecrows. The children started to count them up and I think we got to 19 and then we realized that we were scarecrows too! That’s a lot of scarecrows! 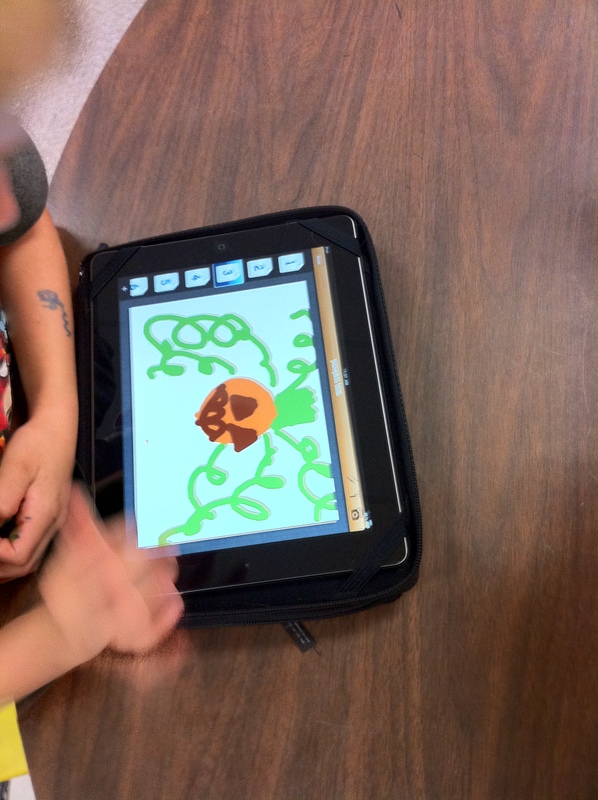 We are also working with StoryBuddy on the iPad to create Halloween pictures. Stay tuned to see our efforts! Please check out the WIKI page as I have added some Halloween links for fun! 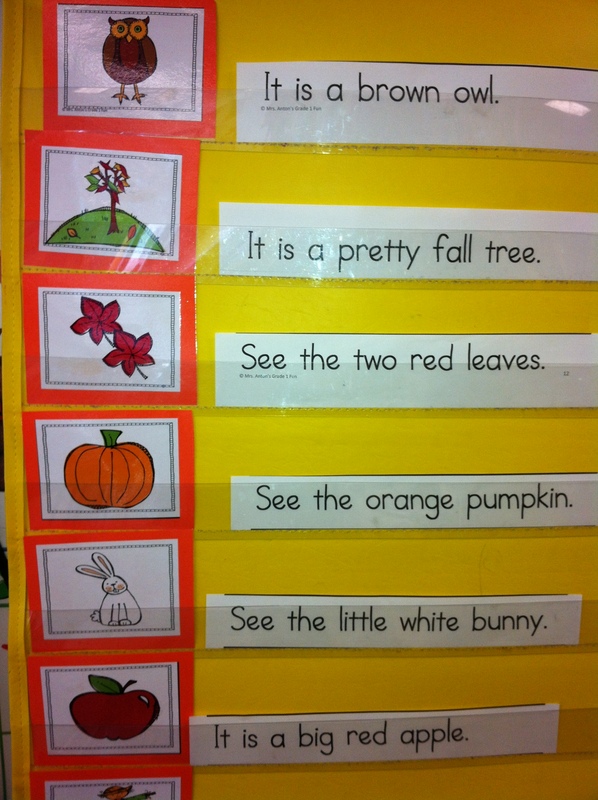 The Pumpkin Book is from the Starfall Website which is a particular favourite of mine!